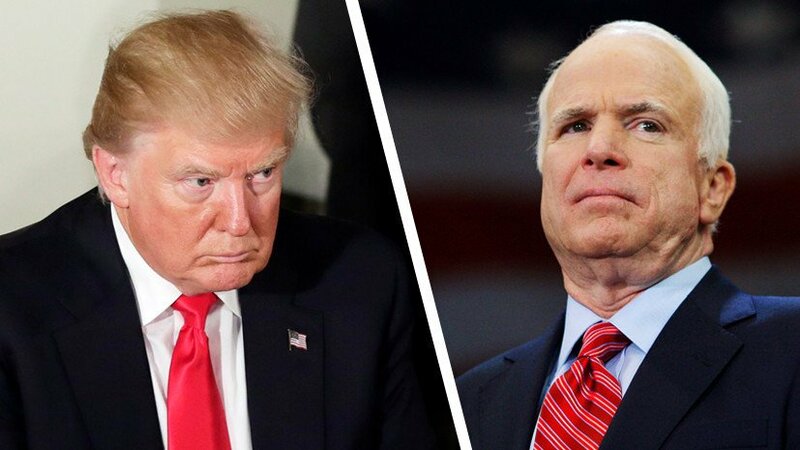 US President Donald Trump will not be invited to the funeral of Senator John McCain. This is reported by CNN, referring to the two friends of the senator's family. McCain was an ardent critic of Trump and previously publicly stated that he did not want to see the incumbent president at his own funeral. The publication notes that the family's position on this issue remains the same - Trump will not be invited. At the same time, former President George W. Bush and Barack Obama were invited to the funeral. Farewell to the senator will be held in the building of the Legislative Assembly of Arizona. American Senator John McCain died of brain cancer. BBC report this with a reference to the claim of his office. McCain passed away on Saturday, August 25 surrounded by his family. He was at the age of 81. Glioblastoma was found out during his surgery to remove hematoma under his eye in July, 2017. In the same month, he underwent a surgery on his brain and was back at his work in the U.S. Senate. Later, he claimed reporters that the doctors gave low chances of surviving. The US President expressed his deepest respect and support to the family of McCain. Donald Trump claimed this on Twitter. 'My deepest sympathies and respect go out to the family of Senator John McCain. Our hearts and prayers are with you!' Trump said. As we reported earlier, Senator John McCain who has been diagnosed with brain cancer last year, decided to terminate his treatment.